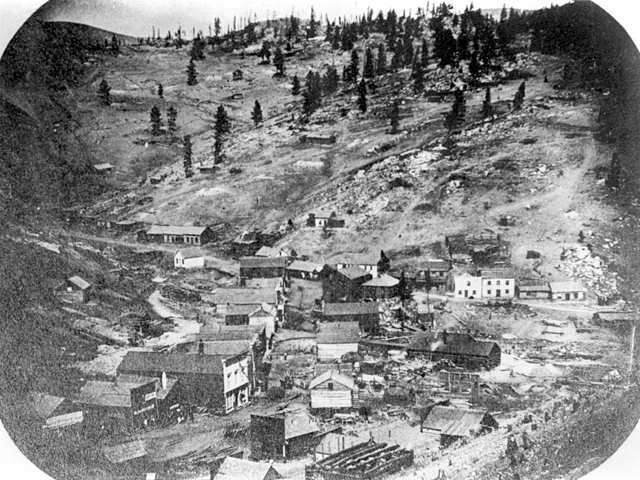 1860 picture of Central City, Colorado. Swedish Emigration to America Synopsis of nineteenth century Swedish emigration from AmericanWest.com. Swedish Immigration Summary of Swedish immigration to Minnesota from The University of Minnesota. Irish and German settlements 1880 maps of Irish and German settlements from The Library of Congress's American Memory Project. Irish in Washington Summary of Irish settlement in Washington State from HistoryLink.org. Scottish Lumberjacks Locations and activities of Scottish lumberjacks in the United States from The Highland Folk Museum. The Great Lakes Migration Trail Explanation of why and when communities developed around the Great Lakes from The Oswego County, N.Y. History Site. Pioneer Life in Ohio Details about early-mid nineteenth century Ohio farm life from Pickaway County, Ohio Genealogy Web Project. The History of the Upper Midwest Overview of nineteenth century Michigan, Wisconsin and Minnesota in which internal site links summarize particular topics from The Library of Congress's American Memory Project. Illinois - The Prairie State Summary of why people settled in Illinois from Lee County, Illinois Historical Society. 1850 Pioneer Farm Details about Iowa prairie farm life as well as links to more specific farm routines in the website from Living History Farms. The Farmers Synopsis of the farming lifestyle of western settlers after the Homestead Act from The Museum of Westward Expansion. The Massachusetts Emigrant Aid Society Explanation of why abolitionists settled in Kansas as well as the particular areas identified for the best farming from The University of Virginia. Land Development of the Field Club Area Explanation about the impact of "claim clubs" and the Homestead Act on the settlement of Nebraska from Omaha, Nebraska's Field Club Historic District Website. Utah Settlement and Exploration Summary of the Mormon migration settling in Utah and choosing Salt Lake City as its center from The Official Website of the State of Utah. Why the Far Northwest? Explanation of why people moved to the Northwest frontier from The University of Washington. Early settlers in Oregon Details about pioneer life in Oregon in the 1840s from Sweet Home City, Oregon Website. Oregon: Land of Gold & Opportunity Explanation of the changes Oregon underwent as a result of the 1858 Gold Rush from Historical Gazette. Early California History Overview of 19th Century California in which internal site links summarize particular topics from The Library of Congress's American Memory Project. Pioneer Life in California List of first-person narratives about pioneer life in California from The Library of Congress's American Memory Project. 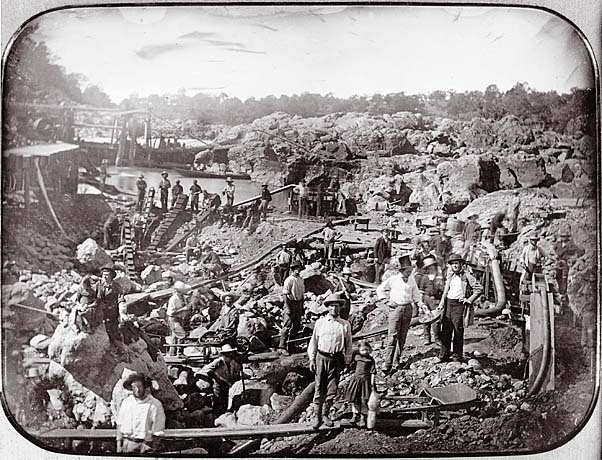 California Gold Rush List of primary sources about California gold discoveries from The Library of Congress's American Memory Project. Masculine Empire or Domestic? Contrast of the motivations/professions of western settlers after the Homestead Act from Woolongong University. New Perspectives on the West Primary source documents, archived by eras, about western life from PBS's New Perspectives on the West. Denver Public Library "Central City, Colorado." [Online Image] 3 September 2002. Image] 3 September 2002. <http://www.calhum.org/sfmoma-crossing/28.html>.